We are pleased to announce the 2018 DevOps Dozen honorees. When I launched the DevOps Dozen, I hoped they would grow to reflect and recognize the best of the best in the maturing DevOps space. 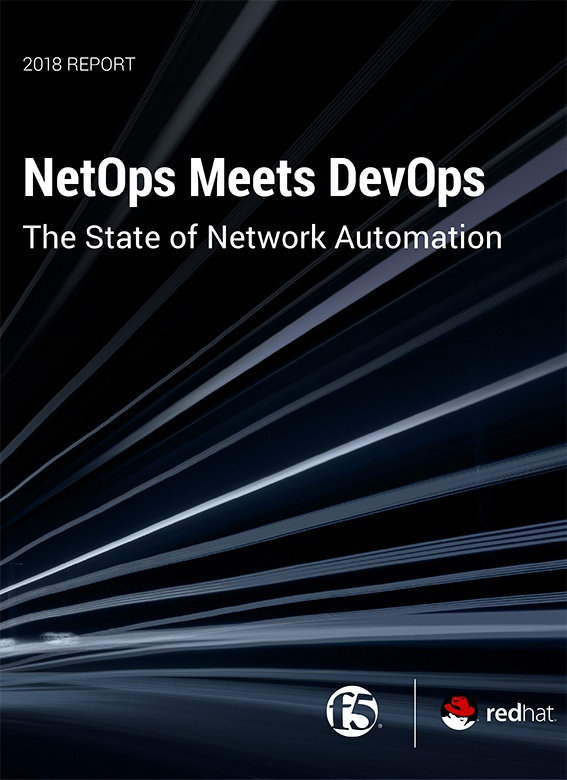 This year, there is no doubt in my mind that the winners are unsurpassed in the DevOps community. In fact, the whole process of nominations was open; from the the public making the selections of finalists; the judges and the criteria they used, it really does represent our best efforts. Congratulations to each and every one of the winners in the 12 categories. It is quite an accomplishment to make it this far into the process. But congratulations not only to the honorees—all of the finalists should be proud to be part of such an impressive list. Since the nomination process was opened, our team has gone through thousands of votes to pick out the finalists in each category. It was not an easy task, as we couldn’t automate (DevOps) it; we had to do it by hand. Also, many thanks to the judges for making the hard calls and thanks to everyone here at DevOps.com for helping out. Jenkins X is the winner of the Best DevOps Open Source Project for 2018. Jenkins X enables developers to take advantage of Kubernetes to develop cloud- native applications without having to learn the intricacies of Kubernetes. Developers can quickly establish CD best practices and cloud development by using the Jenkins X guided workflow that takes full advantage of GitOps, or environments managed as code. The power of GitOps allows developers to easily define, manage, deploy and scale environments with full history and traceability. Jenkins X leverages and packages many other open source projects of the Cloud Native Computing Foundation community around Kubernetes such as Knative, Helm, Prometheus and Vault, providing automatic integration with them and saving users the trouble of integrating all of these components themselves. The voting in this category actually resulted in a tie between two of the leading CEOs in the DevOps space. Sacha Labourey is the CEO and founder of CloudBees, the company powering the continuous economy by building the world’s first end-to-end system for automating software delivery. Sacha is also a member of the board of advisors and an investor at Codenvy (formerly eXo Platform), as well as a board member and investor at Wallix. He is praised as being a visionary with a strong understanding of technology and business. Sacha is experienced in open source, cloud computing, software development and more. Shlomi Ben Haim is co-founder and CEO of JFrog. He brings more than 20 years of experience in building profitable, high-growth information technology companies. Shlomi is a recognized visionary in the DevOps space, having now guided a company from its inception with just three co-founders (along with Yoav Landman and Fred Simon) to a privately held, global DevOps company with a billion-dollar valuation. With the releases of JFrog Xray and the JFrog EnterprisePlus platform in the last two years, Shlomi continues to foresee market dynamics and push JFrog forward to deliver next-generation solutions. Electric Cloud was recognized for the third year in a row by Gartner as the leading solution in Application Release Orchestration, scoring highest in three out of three use cases in Gartner’s 2018 critical capabilities for application release orchestration. In Q4, 2018, Forrester ranked Electric Cloud as a leader in the newly released report, “The Forrester Wave™: Continuous Delivery and Release Automation (CDRA).” Additionally, ElectricFlow has been selected by EMA Research as a Top 3 enterprise software product in its new report, “EMA Top 3 Enterprise Decision Guide for Artificial Intelligence (AI) and Machine Learning (ML).” The report provides pragmatic guidance to enterprises on how to optimally benefit from AI and ML and continuously release better software. Electric Cloud is also the founding partner of DevOps Enterprise Summit USA. Capital One was the judges’ choice for Best DevOps Transformation for 2018. As one of the most well-known brands in America and among the top 10 largest banks in the nation based on deposits, Capital One offers a wide range of financial products and services to commercial clients, small businesses and individual consumers, both online and in-person at branch locations. The company was founded on the vision that the power of information, technology and testing could be harnessed to bring highly-customized financial products directly to consumers. The thousands of software engineers, testers and other professionals in the Capital One software development organization are making this vision a reality. Beyond their financial success and size, Capital One has a well-known and well-deserved reputation in the tech industry for being one of the most innovative and open source-friendly enterprises in the market. “DevOps for the Modern Enterprise,” by Mirco Hering of Accenture, won the Best DevOps Book Award for 2018. In his book, Mirco, a thought leader in managing IT within legacy organizations, lays out a road map to success for IT managers, showing them how to create the right ecosystem, how to empower people to bring their best to work every day and how to put the right technology in the driver’s seat to propel their organization to success. But just having the right methods and tools will not magically transform an organization; the cultural change that is the most difficult is also the most impactful. Using principles from Agile, Lean and DevOps, as well as first-hand examples from the enterprise world, Mirco addresses the different challenges that legacy organizations face as they transform into modern IT departments. Mirco’s book is also featured by BookAuthority in the list of “26 Best New DevOps Books to Read in 2019.” View on Amazon. The panel of DOES18 speakers included Cornelia Davis, senior director of technology at Pivotal; Damon Edwards, co-founder and Chief Product Officer of Rundeck; Mik Kersten, CEO of Tasktop; Tom Limoncelli, SRE at StackOverflow.com; Gene Kim, founder of IT Revolution and co-author of “The DevOps Handbook,” “The Phoenix Project” and “Accelerate”; and Electric Cloud’s Sam Fell and Anders Wallgren.